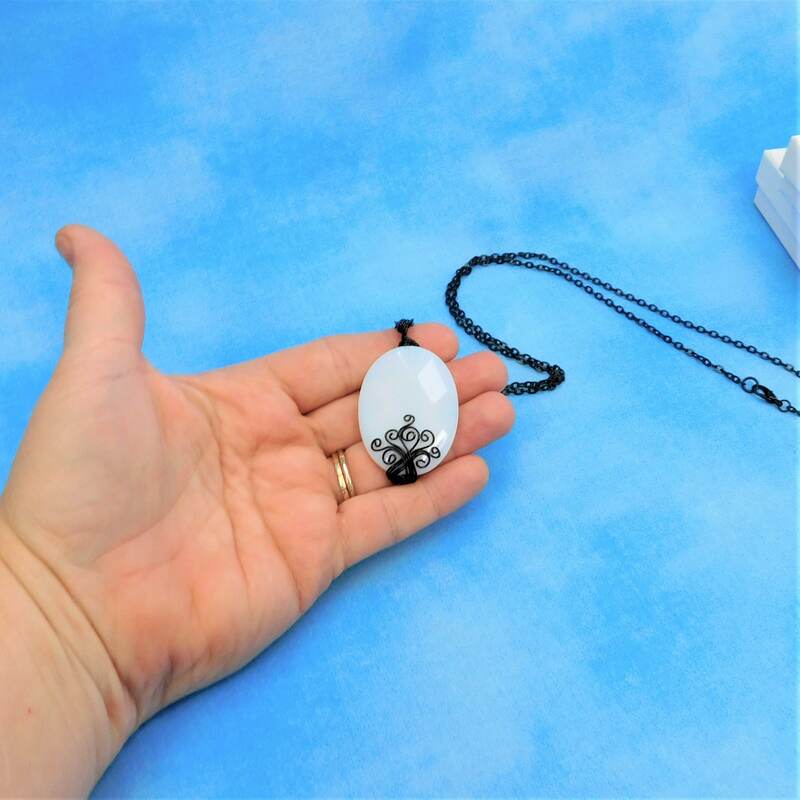 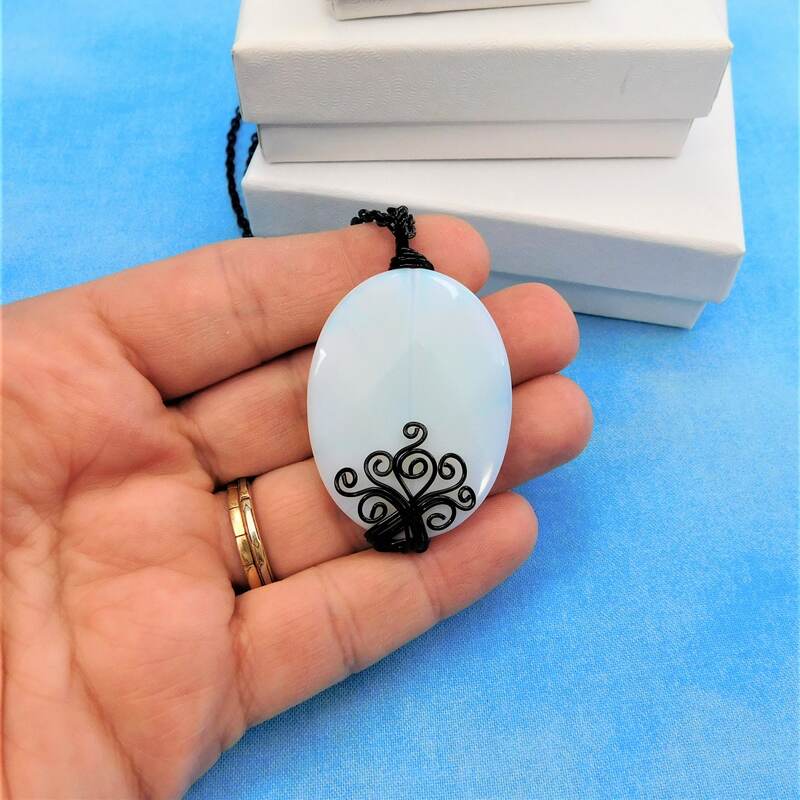 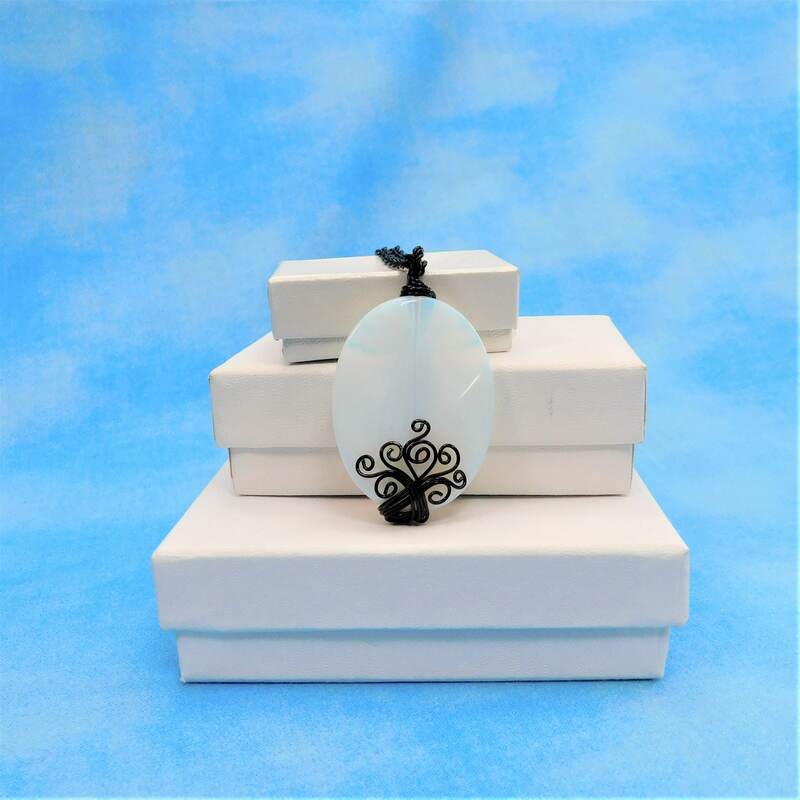 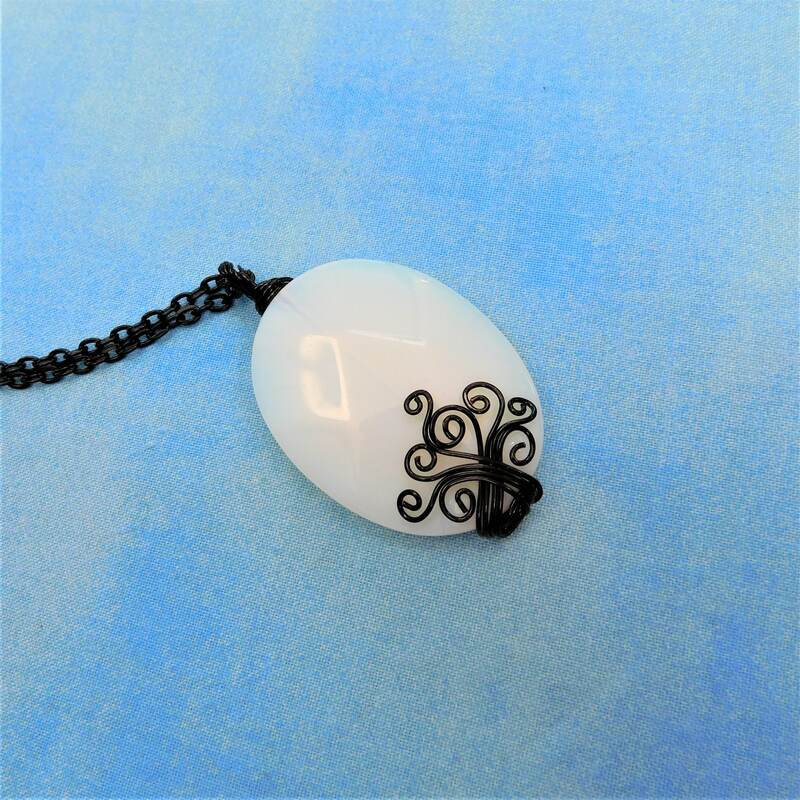 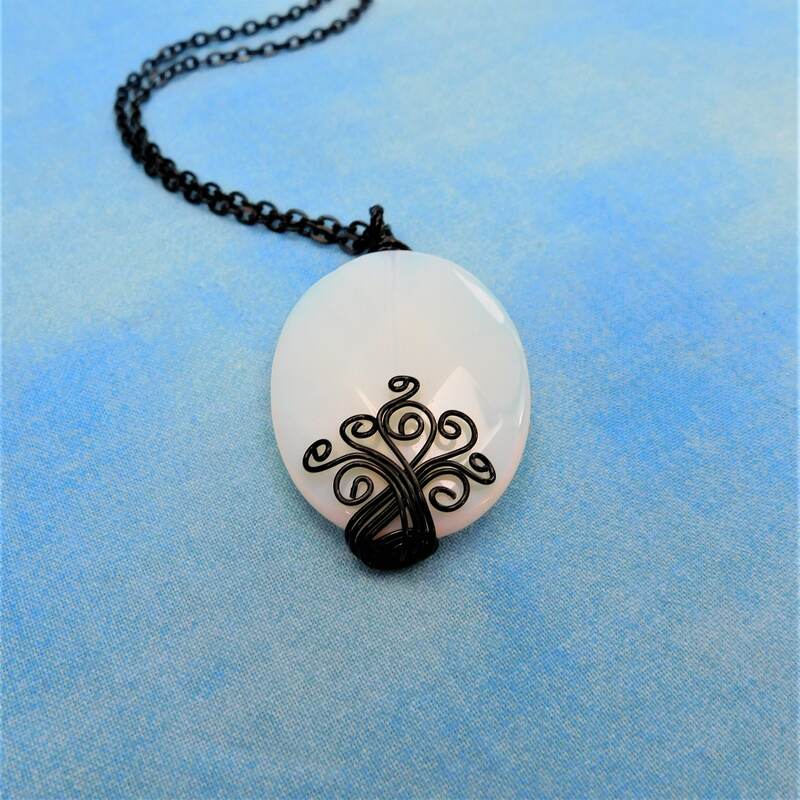 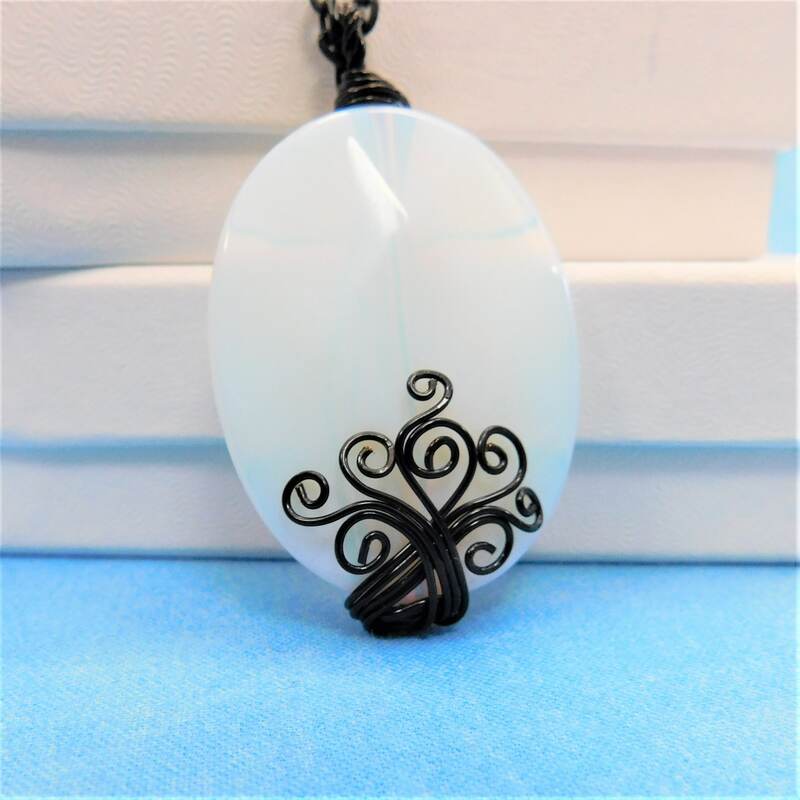 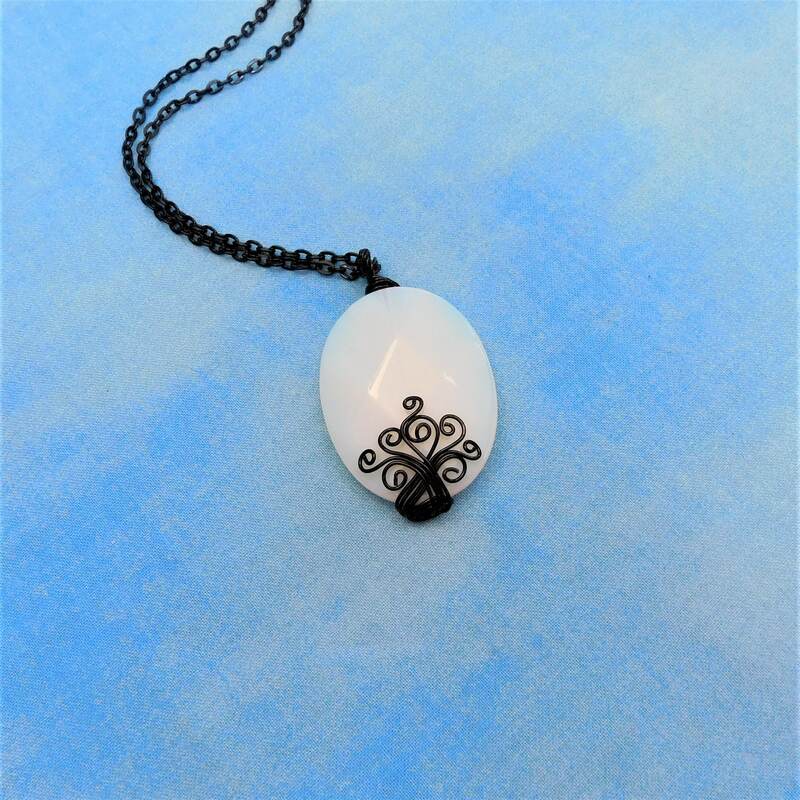 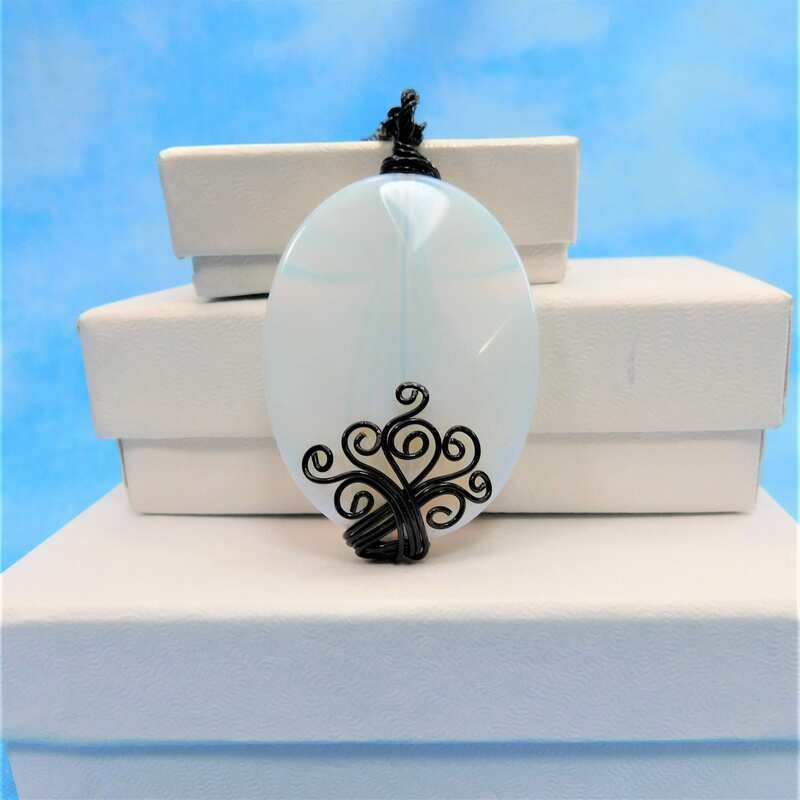 A 1 1/2 inch by 1 1/4 inch piece of white opaque glass is artistically wrapped with non tarnish black colored copper wire, creating a simple and beautiful pendant. 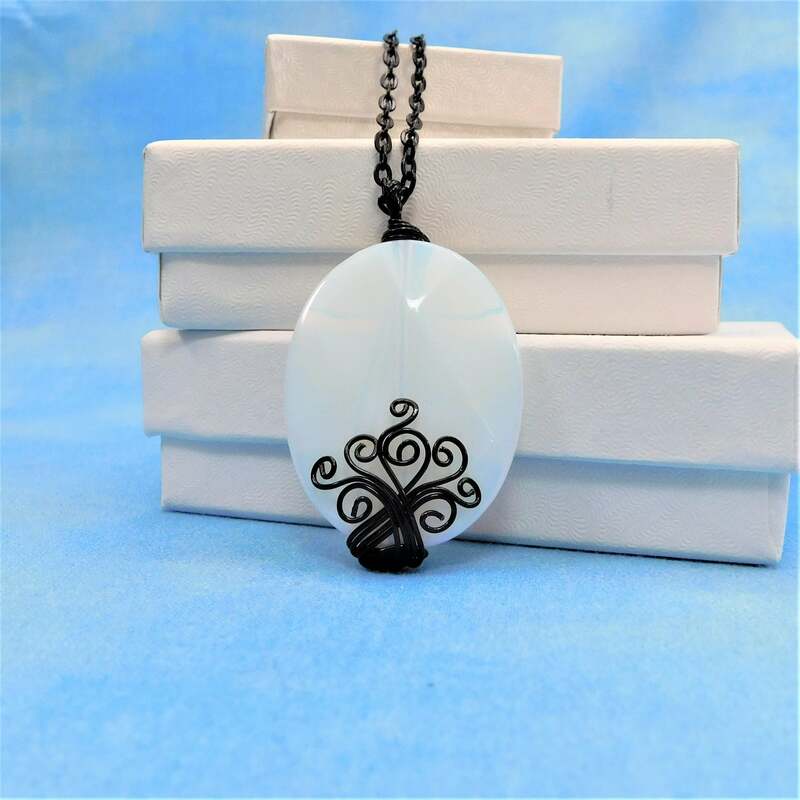 The color of the glass reminds me of old fashioned milk glass, with slight opalescence. 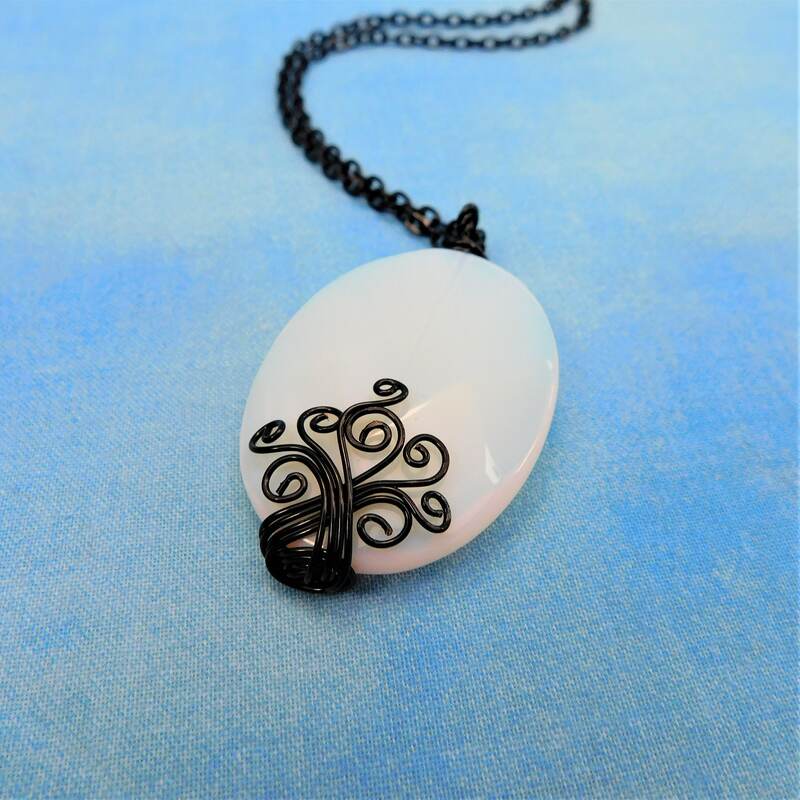 The pendant is smoothly faceted, creating a soft flash with movement of the pendant.